Institute of Armament Technology (Pune), NMIMS University (Mumbai), Shivaji University (Kolhapur), Symbiosis International Education Centre (Pune), Tata Institute of Fundamental Research (Mumbai), University of Mumbai (Mumbai) among others. Mumbai, the commercial capital of the country, also houses some of the well known educational institutes in the country. Two very good libraries are located in the city of Mumbai. They are Asiatic Library and David Sassoon Library. British Library, established in Pune, is also one of the best libraries in the state. 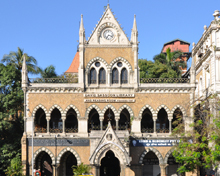 There are so many engineering colleges in the city of Mumbai. The state has so many schools offering the quality education in the state. Maharashtra has about 2,000 Urdu medium schools and about 14,000 teachers are working in them. The management of the elementary schools is done by Zilla Parishads and Municipal Councils in the state. Maharashtra has the literacy rate of 82.9 as per the figures of the census 2015.